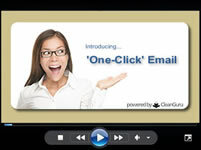 Just Released – and we’re already hearing from members saying how much they love the NEW, convenient ‘one click’ email. Watch this short video to see how it works! Good…Just got a whole LOT better! That’s right, NOW you can instantly add or remove areas right on CleanBid Express. Plus, you can easily change the name of areas…and the print order too! Watch this short video to see how it works! Today’s commercial and residential cleaning businesses are lucky. Really, here’s why. The playing field in the cleaning industry has been effectively leveled by innovative, intuitive software designed to give small or even start- up cleaning companies the online and mobile tools needed to quickly and successfully compete with much larger building services contractors – even those having hundreds of employees or doing millions in sales. How should your cleaning business prepare a bid on residential cleaning jobs? There are two parts to the answer. One deals with the outline you use to demonstrate professionalism; the other deals with the message you send to create interest. Both are important. Clean Guru LLC is pleased to announce 9,500 janitorial businesses or cleaning industry professionals are now signed up to receive weekly emails and videos at no charge in the ‘Flip My Cleaning Business from Painful to Profitable’ series. Clean Guru LLC is pleased to announce over 100,000 janitorial bids have now been successfully created to date using the CleanBid® online and now – mobile program.